A study conducted by the Scripps Research Institute in Florida has identified a treatment that could improve the symptoms of rheumatoid arthritis, a disease which affects nearly 300,000 Britons. Rheumatoid arthritis is an autoimmune condition that causes swelling of the joints and leads to restricted movement in sufferers, commonly occurring during middle age. The new research uses a compound which acts directly on cells, significantly reducing joint inflammation. It could see more effective treatments created for the disease. 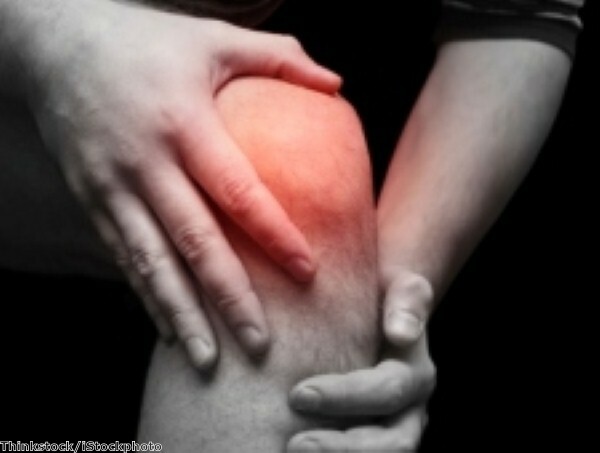 A compound known as SR2211 was found to alleviate symptoms in mice with rheumatoid arthritis. Indeed, within eight days of treatment, virtually all symptoms of the disease had been blocked. The mice also showed diminished bone and cartilage erosion compared to a group of healthy mice. The compound targets the nuclear RORy receptors, which are instrumental in regulating TH17 white blood cells thought to play a role in the development of a number of conditions such as multiple sclerosis, rheumatoid arthritis and inflammatory bowel disease. The team found the compound blocked the release of inflammatory mediators from TH17 cells in culture, and they are confident it will have a similar effect in rodents. Although treatments are available for arthritiscomma these tend to be long-term immunosuppressants which leave patients vulnerable to a range of other infections. Their use is associated with increased infection rates and the contraction of conditions such as pneumonia. This problem would be avoided with an orally-administered treatment that could be taken daily. "This compound, and its precursors, showed the ability to block the release of specific inflammatory mediators from TH17 cells in culture, so we were confident that SR2211 would demonstrate good efficacy in rodent models of autoimmune disease," said biochemist Patrick Griffin, chair of the TSRI Department of Molecular Therapeutics. "Our newest study strongly supports the idea that by targeting the RORγ receptor, we can therapeutically repress inflammation and joint destruction associated with rheumatoid arthritis." The new compound stands to benefit patients who cannot tolerate conventional treatment, offering doctors new options.